Meg's Food! 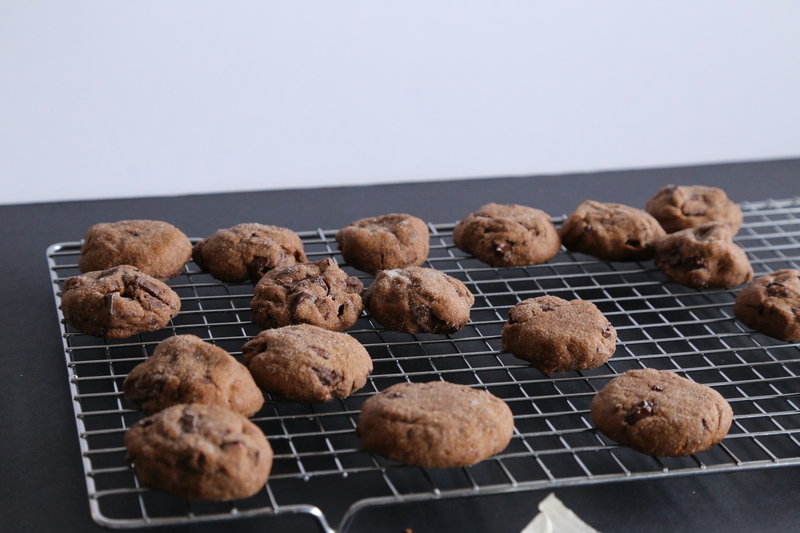 | Vegan Chocolate Chunk Ginger Cookies - Meg's Food! For a few years now, my favourite Christmas cookie has been these chocolatey, gingery cookies. But this year I wanted to make a vegan cookie that’s just as good as my other cookies. These cookies are based on favourites, but made vegan! 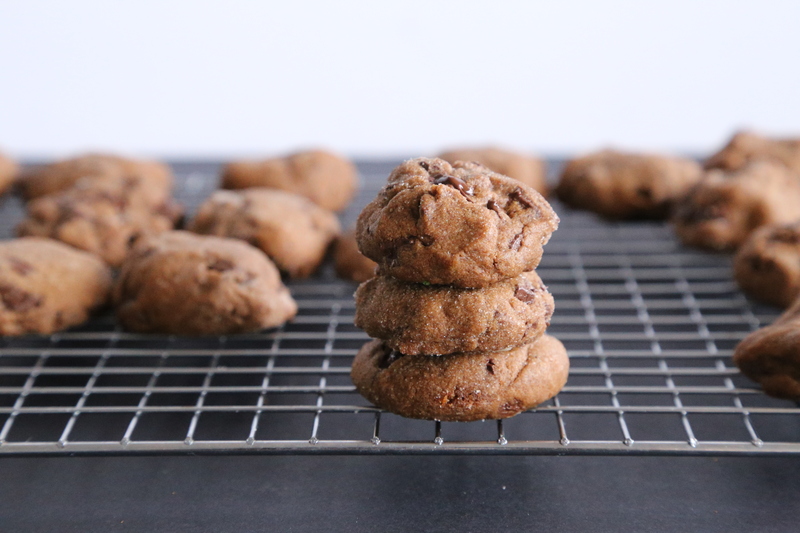 They’re just as chewy, spicy, and chocolatey as the originals, but perfect for all your vegan friends. Sift together flour, cocoa, and spices in a medium bowl. Beat earth balance with ginger root until light and fluffy. Beat in sugar and molasses. In a small bowl, combine baking powder with 1 1/2 tsp boiling water. Beat the flour into the butter/sugar mixture in 2 batches, alternating with the baking powder/water mixture. Fold in chocolate chunks. Form into a ball and wrap in plastic wrap. Chill overnight, or up to 5 days. When ready to bake, preheat oven to 325 and line a few baking sheets with parchment paper. Roll dough into one-inch balls and roll in sugar. Bake until slightly cracked, about 10-12 minutes. 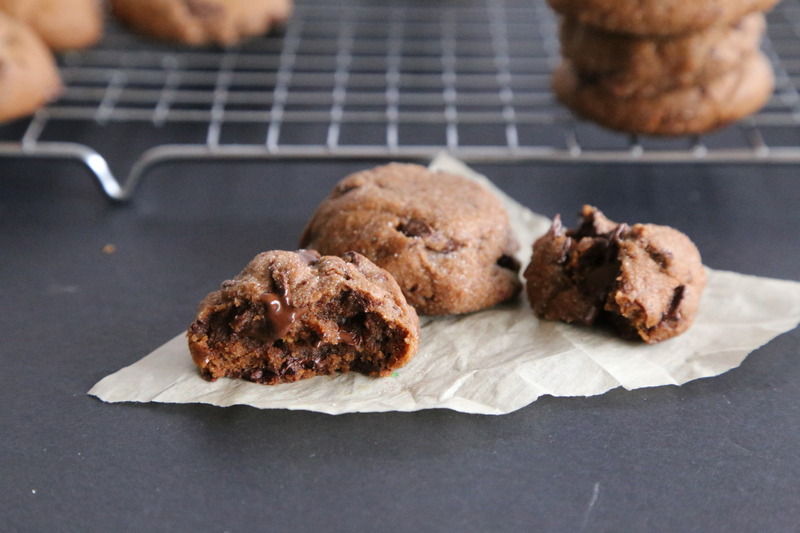 Spicy, chewy, packed with chocolate, AND vegan? It doesn’t get much better than these cookies! This entry was posted in Christmas, Sweet and tagged chocolate, Christmas, cookies, ginger, vegan. Bookmark the permalink.